The nation's top rose gardeners turned out in high style in the walled rose garden at the Biltmore Estate to decide the winners of the 2018 Biltmore Rose Trials. The Rose Chat Podcast team was on-site to judge and participate in the event and we captured it all for our listeners. 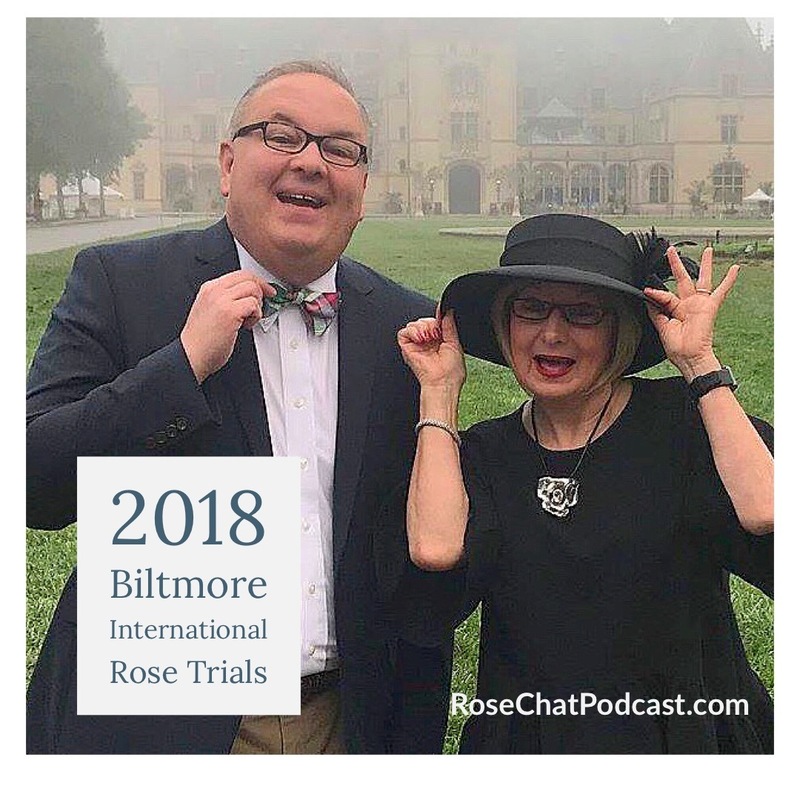 On this broadcast, you'll hear from Biltmore Director of Horticulture, Parker Andes, on the rich horticultural legacy at Biltmore Estate and we'll chat with Paul Zimmerman, Curator of the rose trials about how the trials work and how they benefit home gardeners. It's a show you don't want to miss! 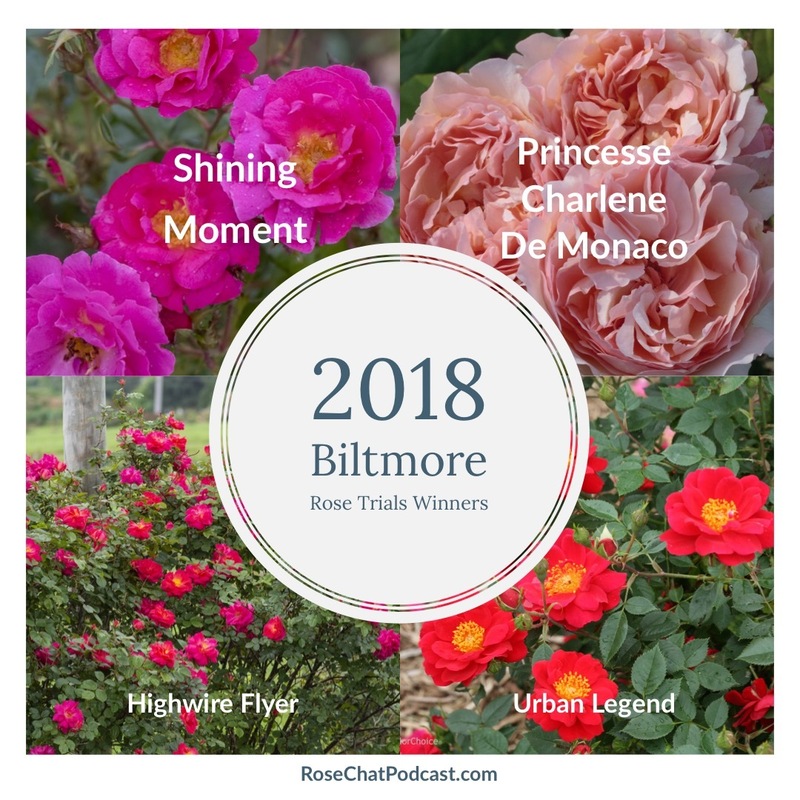 An apricot-colored princess has captured the top prize at the recent finals of the 2018 Biltmore International Rose Trials. Highwire Flyer (Radwire), bred by William Radler of Star Roses and Plants, winner of the Gilded Age Award for Climbing Rose, and the William Cecil Award for Best Growth Habit. Shining Moment (Radshining), bred by William Radler of Star Roses and Plants, winner of the Edith Wharton Award for Best Floribunda. Roses competing for this year’s titles came from breeders based in the U.S., France, Great Britain, and Germany. Trials of this type are open to rose breeders around the world – from professional to beginner. Competing roses are evaluated for overall health and rigor; fragrance; disease resistance; and the ability to repeat bloom.